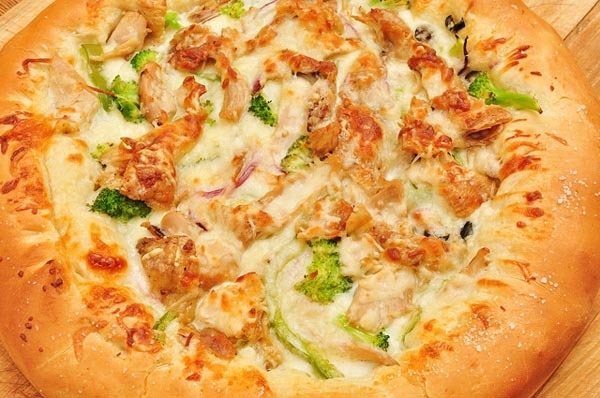 Stop by Pane E Vino Pizzeria in Huntsville to enjoy a local favorite in casual pizza joints. This family-friendly pizzeria is found below the Huntsville Museum of Art at 300 Church Street and is open every day from 11am to 9pm. Enjoy lunch or dinner here with pizza pasta, paninis, salad and more. Chef James Boyce, along with wife Suzan Boyce, are bringing their culinary talents to Huntsville in three different restaurants, Pane E Vino being one of them, and continue to impress local consumers with their cooking styles and restaurants featuring a wonderful ambiance. If you’re in the mood for pizza and pasta, stop by Pane E Vino any day of the week. The restaurant is open all week featuring the stylings of Chef James Boyce and wife Suzan Boyce. This casual family-friendly pizzeria is a unique option found below the Huntsville Museum of Art and offers delivery through Grub South. Enjoy lunch or dinner inside or sit outside on the patio on great weather days. Walk-ins are welcome as well as groups, kids or catering for those that can’t make it in. The restaurant overlooks Big Spring Park on Church Street SW.
Come see what all the fuss is about at Pane E Vino where Chef James Boyce brings his experience from three decades of culinary work. He has studied at the Hyde Park’s Culinary Institute of America, worked in amazing restaurants like Mary Elaine’s at the Phoenician Resort, the New York’s Le Cirque and the Studio at the Montage Resort & Spa in Laguna Beach. In fact, Boyce has been nominated for the James Beard Foundation’s Best New Chef: Southwest and Pacific. Your meal can start with a delicious item off of the antipasti menu or insalate menu. Try the Greek, Caprese or Caesar salads with the Meatballs & Marinara or the Antipasti Platter. Choose from traditional pizza options, Pizze Bianca or create your own masterpiece. Other options includes calzones, panini’s and of course pasta. End it with the Tiramisu or something from the bar. You’ll love the delicious food, the family-friendly atmosphere and the excellent service found at this local favorite spot, Pane E Vino.